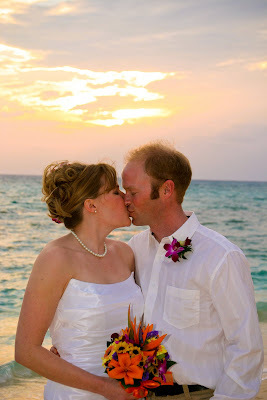 This couple from Winston-Salem, North Carolina flew to Grand Cayman with 12 of their closest family and friends for an intimate sunset wedding on the West Bay end of Seven Mile Beach (also known as Mary Mollie Hydes Beach). 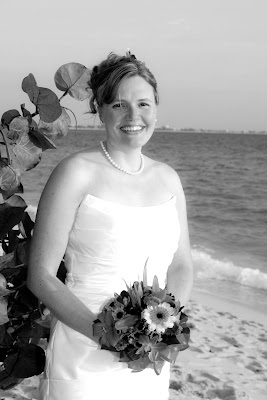 The bride poses for a portrait next to a Sea Grape Tree, just before the ceremony begins. 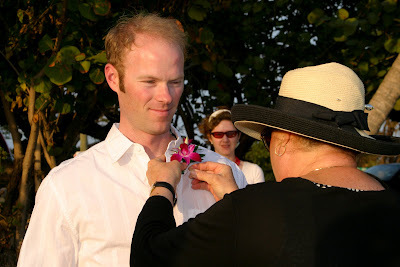 Joy assists to pin the groom's orchid boutonniere before the ceremony. 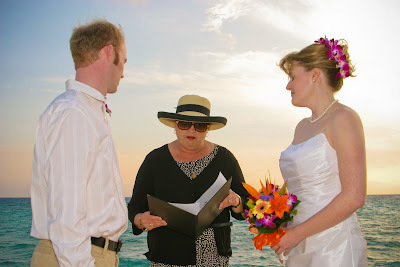 With over 400 officiated weddings under her belt, she is one of the best persons to ask for help with these! 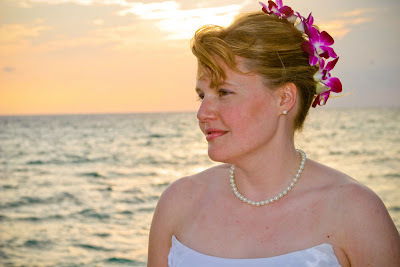 The bride during the ceremony, with an amazing sunset in the background. A touching embrace at the end of the ceremony, as their guests happily look on. Signing the paperwork after the ceremony. The Tropical Splendor package includes a 10" wedding cake with service for up to 20 persons. 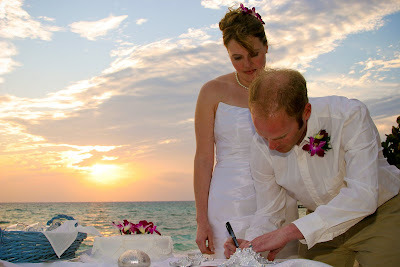 We provide the signing table decorated with a white linen and seashells for every ceremony. 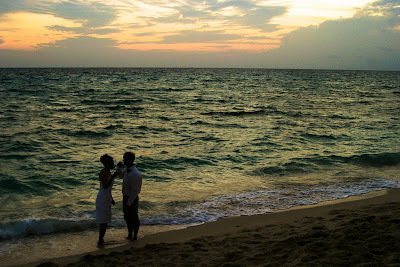 A stunning sunset for the newlyweds. A private moment in the surf. 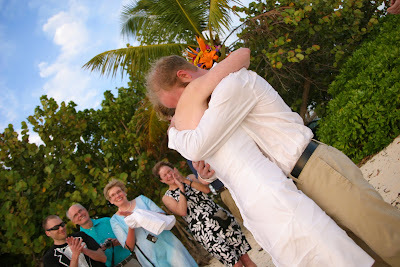 If you will be visiting Grand Cayman and would like an intimate wedding ceremony like this couple, we want to hear from you! Our packages start with the Basic legal requirements and go all the way up to the Tropical Splendor package, which includes professional photography, cake, champagne and flowers. Visit the Simply Weddings website to see package details. These pictures by Mari of Island Photo. Cake by Miss Vivene.